We thank for your support you have shown towards Jathin Raj, Jathin breathing problem was cleared after laryngoscopy surgery, but he is not able to speak out as vocal cords are not responding as their is no vocal cord movements inside so he will be undergoing a vocal cord surgery. Doctors advised doing surgery after 15 days. We thank you for the support you have shown towards Jathin Raj. May I request you to share this further with your friends/family/colleagues to support for Jathin campaign. Here is an update on Jathinraj. Doctors advised it will take few more months to recover from breathing problem and Jathin needs to undergo one more heart surgery. 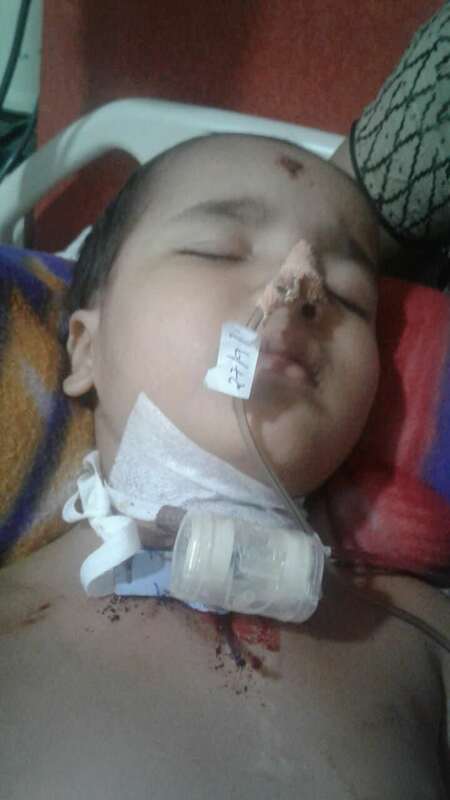 We need little bit more help to raise enough to treat and save our child Jathin. I have some good news to share with you. Jathin is doing better now, he underwent the surgery a month ago and it was successful. He is still on the ventilator support but doctors are optimistic about his response to the treatment. He will be kept under observation for one more month. The doctors have suggested for a minor surgery which shall take place after a month based on his health. I thank you for the support shown so far, I request you to share this campaign as much as you can so that Jathin has a speedy recovery and obtains good health in no time.